you put in a Trak-loc rear end? Here is 1 choice. 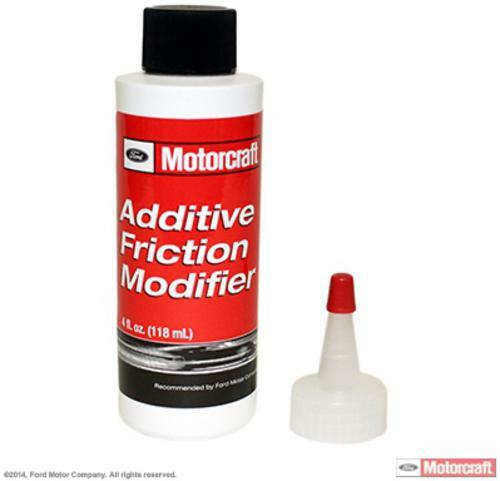 I think motorcraft has a product you can get at your ford dealer. It is called Friction Modifier and your Ford dealer will have I think maybe 3 oz. in the little bottle. The friction modifier is specified by Ford for differentials with clutch plates such as the Ford Traction Lok. Part# is Motorcraft XL-3 and comes in a 4oz bottle. There is also a Ford Racing version (M-19564-A) but the XL-3 would probably be easier to find locally. lol, you are the parts man here for sure.